Anton Page have this week brought the first floor at 140-142 St. John’s Street to the market. 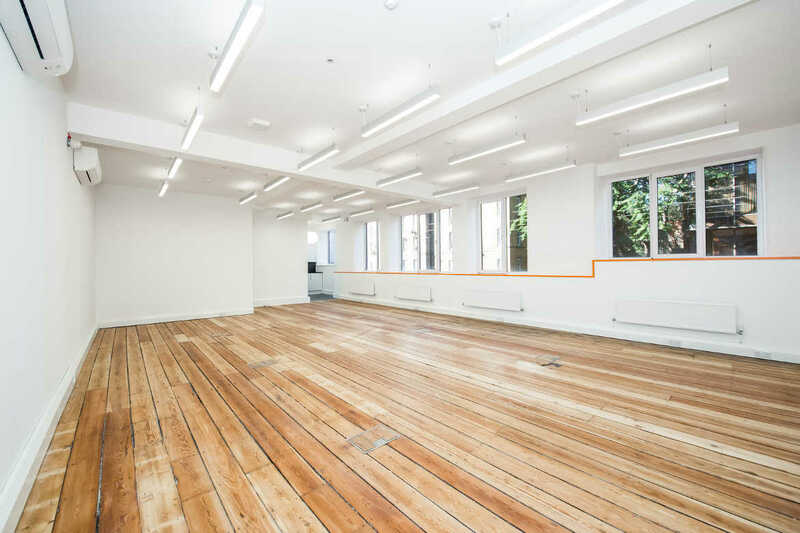 A former Clerkenwell warehouse turned newly refurbished office suite, the first floor here is available to rent and retains several original features as well as integrating modern style. The office is open plan and has been comprehensively refurbished and fitted out with a brand new air conditioning unit and kitchen. The warehouse features, which give the space a sense of character, include original timber floors, high ceilings and excellent natural light. Along with this, there are new modern light fittings, a passenger lift, bike storage and showers. Being situated on the east side of St. John’s Street, in the crux of Clerkenwell, the building is central to a thriving district, benefiting from a wide variety of restaurants, cafes, bars, boutique shops and hotels. The area is very business-driven and there are also many high profile occupiers in the neighbourhood, as well as a plethora of start-ups. For more information, and for contact details to make a viewing, click here.